Panda presents Northern Lights, the production duo also known as DJ Steppa & DJ Kitcha has been on full swing lately. Hailing from Leeds, DJ Steppa previously won the Best Breakthrough DJ prize at the Drum & Bass Awards and has been at the centerpiece of North Britain's Drum N Bass scene for years. Now moving into production together with Huddersfield-based newcomer DJ Kitcha, they are on on their way to release the best upfront and progressive jump up Drum and Bass available. Forthcoming now are the highly anticipated tunes entitled "Nitty Gritty" on Smokin' Riddims, "Bad Boys" featuring Serum on their label AudioWarfare and a remix of Twisted Individual's classic "Acid Bath". 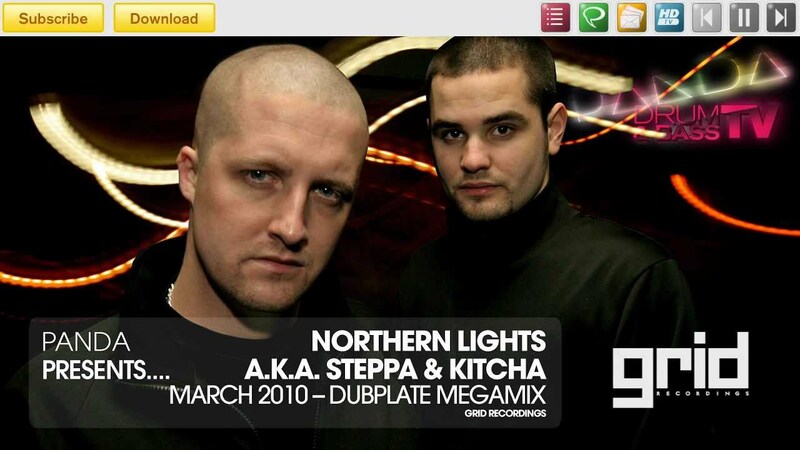 In this artist-only mix, DJ Steppa & DJ Kitcha blend 10 tracks in less than 15 minutes. Northern Lights show us solely their and their affiliated label's latest tunes. Lock in and please leave your appreciation in the comments!